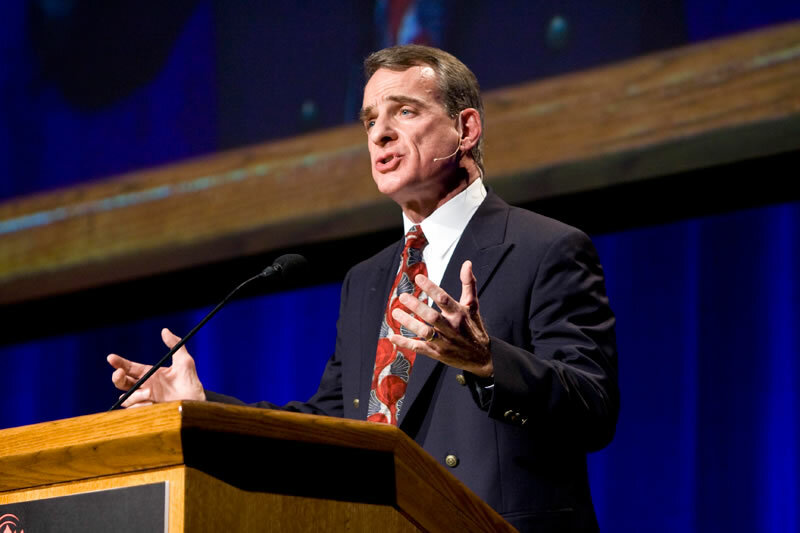 Biola Professor Named One of "Top Twenty Most Brilliant Christian Professors"
Biola University’s Research Professor of Philosophy, William Lane Craig, was recently listed among the “20 Most Brilliant Christian Professors,” according to CollegeCrunch.org. The interdisciplinary list includes notables from Princeton, Stanford, Cambridge, Boston University, Harvard, and Notre Dame. Craig joins other philosophers and theologians like Alvin Plantinga, Alister McGrath, Albert Mohler, N.T. Wright and Charles Taylor. CollegeCrunch.org is a common information web resource used by prospective students when considering degrees/programs at various universities in the U.S.
Craig has been Talbot School of Theology’s research professor of philosophy since 1996 and has authored and/or edited over thirty books and several dozen journal articles in the area of arguments for the existence of God, divine omniscience, divine eternity, the historical Jesus and the historicity of the resurrection, and the uniqueness of Christian particularism. Just last year, Craig debated Christopher Hitchens on the existence of God to a sold out audience of more than 6,000 at Biola. In 2007, Craig founded his online apologetics nonprofit ministry, ReasonableFaith.org, which has attracted more than 67,000 visits from April 12 – May 12, 2010. The “20 Most Brilliant Christian Professors” list received attention through a variety of online outlets, including at the well-trafficked First Thoughts and Evangel blogs, outlets of FirstThings.com. Craig’s audio and video lectures and debates can be purchased through Biola’s Christian apologetics web store.